LEEA has a training accreditation scheme for end user training. 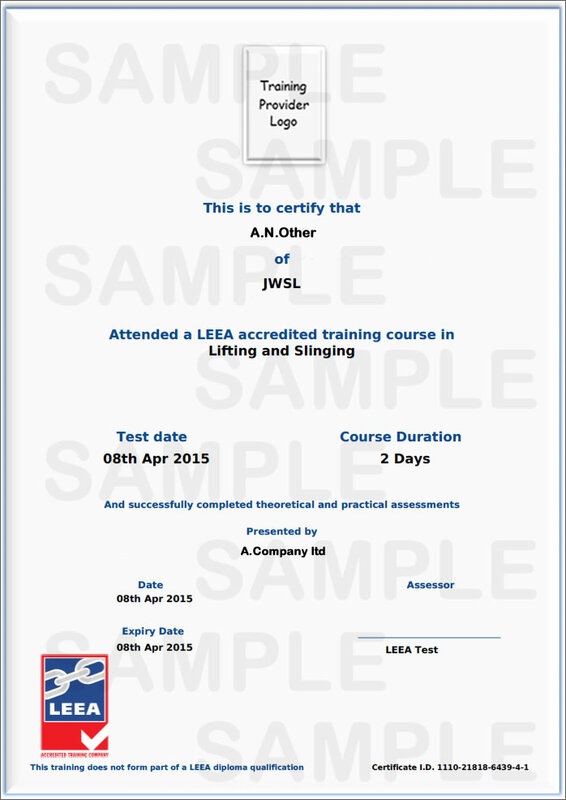 A range of courses covering key areas of interest to the user of lifting equipment have been developed by LEEA members, these are then audited and accredited by LEEA. They are presented to an agreed syllabus and timescale by those LEEA member companies. Delegates are assessed by written and practical sessions and if successful will be awarded a training certificate. This training does not form part of the LEEA diploma qualification process. LEEA holds copies of all certificates produced for verification purposes. Candidates can search for training providers or specific courses using the search facility below. Select a course or company from the drop downs below to see which companies run which courses or which courses are run by which companies.